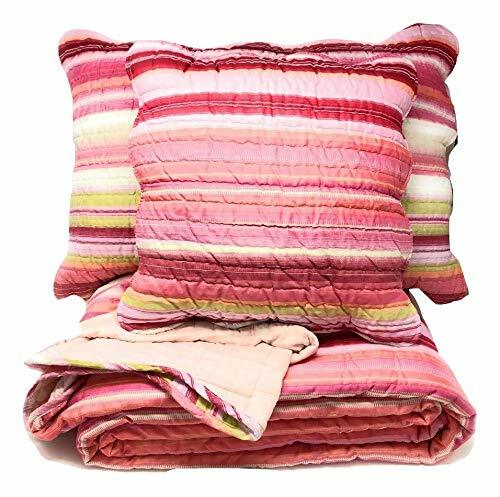 New (1) from $54.90 & FREE shipping. 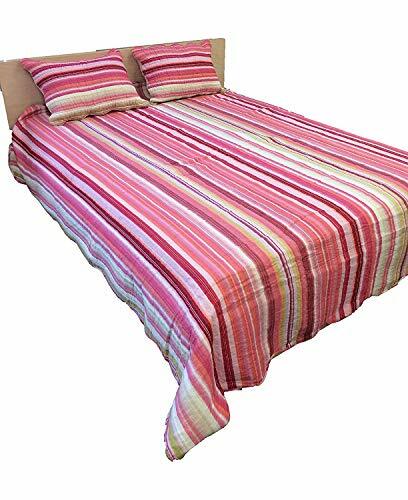 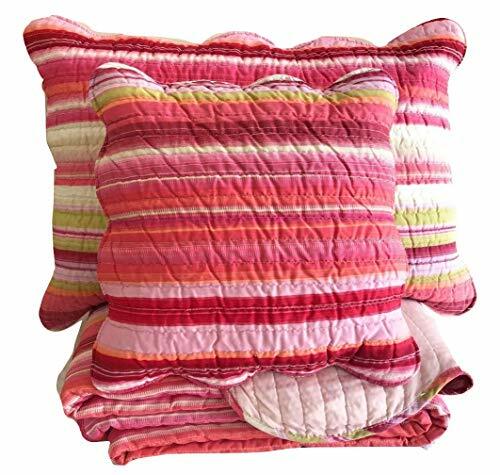 Features a colorful ambiance with multi colored stripes mixed with red, pink, orange, yellow, green & white! 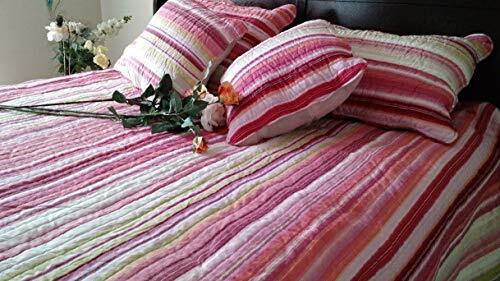 Beautiful for the spring and summer décor!Lovely addition to any sleeping space! 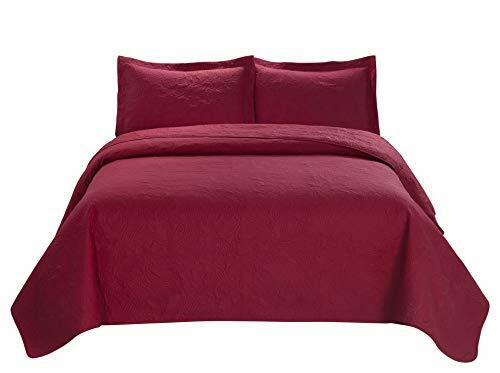 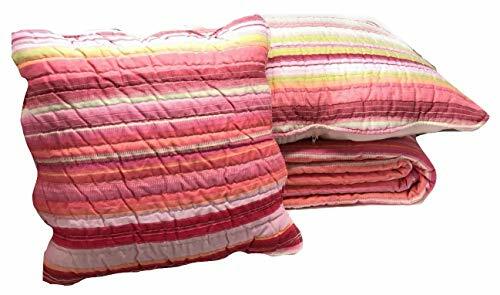 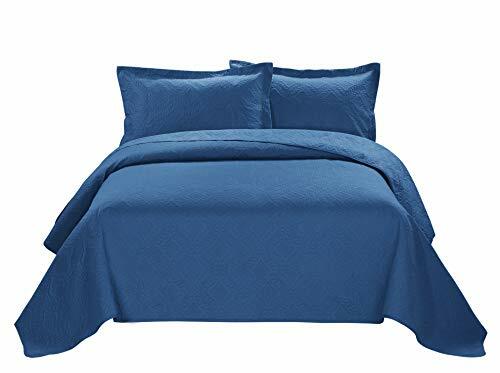 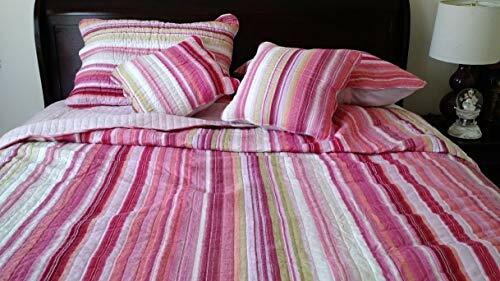 Ideal for warmer climates - Perfect for the spring, summer & autumn seasons!Includes - One Queen quilt: 90" x 96" & 2PC Queen Size Pillow-Case: 20" x 28" - Two Piece 18" x 18" Cushion CoversMaterial: 70% Cotton & 30% Polyester Fill 20% Cotton & 80% Polyester Back 20% Cotton & 80% Polyester FaceWashing Care Instructions - Machine Wash Cold, Do Not Bleach, Tumble Dry in Low Cycle & Remove Promptly.